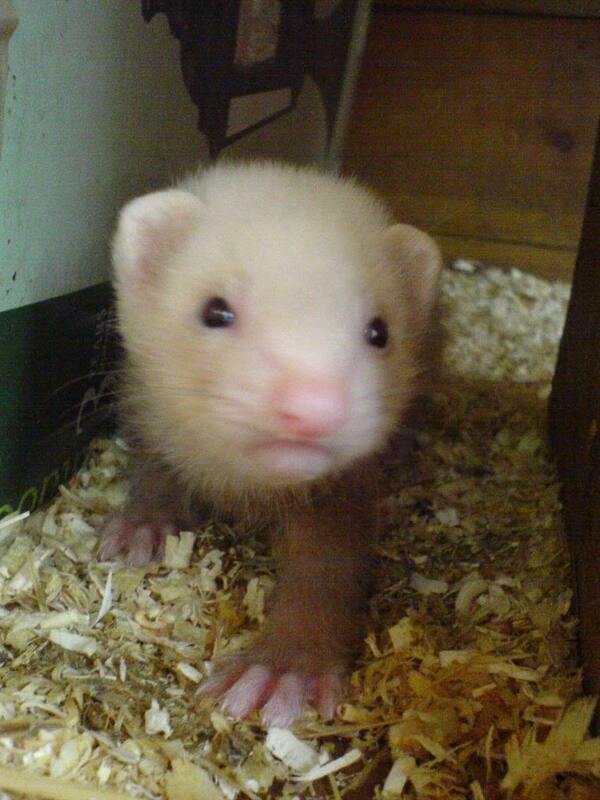 So, anyone else got a soft spot for ferrets? I have a few, Jill, Badger, Delilah, Bonnie and Clyde. Jill (with Ink [RIP]) is mum of Badger and Delilah. and Bonnie and Clyde are the children of Gerard who is also Jill and Ink's son. 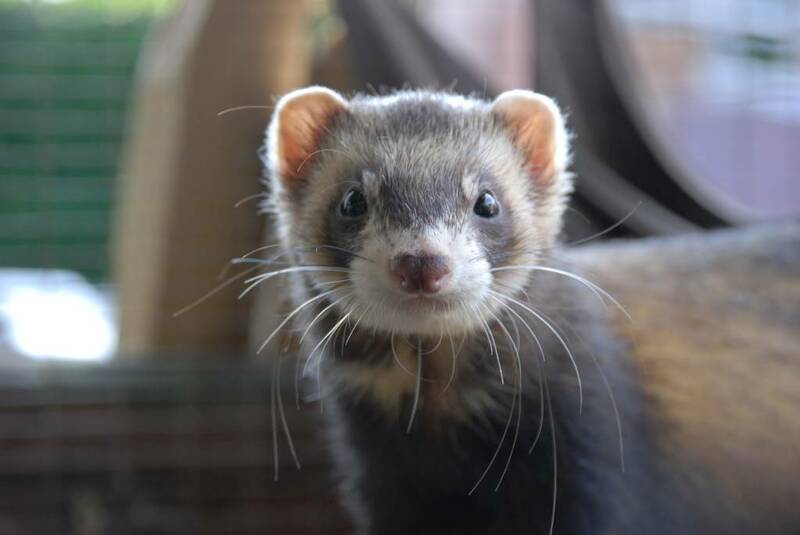 I wanted one ever since meeting some lovely ferrets at a country fair, they belonged to a ferret resue group based near london. 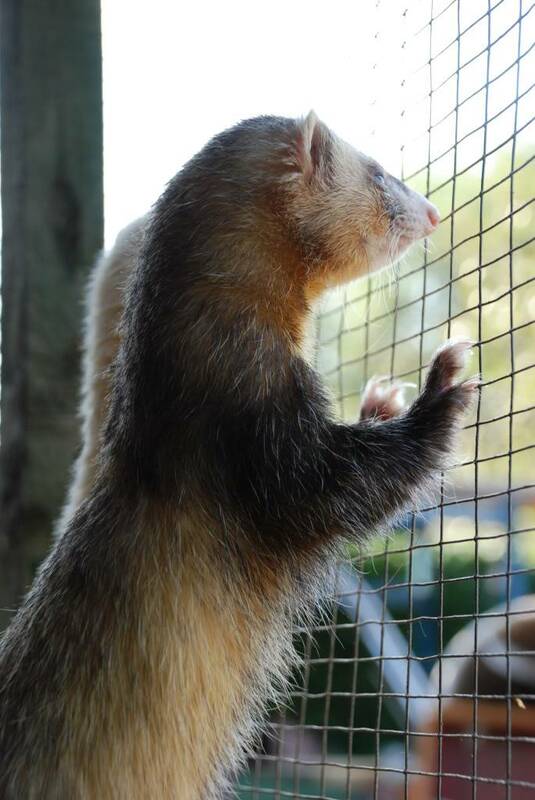 Jazz wrote: So, anyone else got a soft spot for ferrets? you forgot to say gerard emergrated to wales and the result was bonnie and clyde. And this is baby Gerard! zak's sings like jazz did its so sweet. aww ziggy! i want ziggy! they're brillient little pets. if you plan on getting kits make sure the breeder has handled them everyday. and if she gets bitten dont let it worry her usually its a play bite so it ends up looking like a paper cut. if you need any advice nearer the time feel free to pm me or my mum. Just love that pic of the three of them standing up looking like meerkats Lol! As you know Becks, I'm a big, big fan of ferrets Jerry send you and his girls lots of hugs. haha doubtful he loves his new adopted mummy too much. thats great ive got video want to download your have to give me a hand when your home of the 3 mad hairies. then can put them on here. haha yeah, Ink used to come for walkies but got distracted by a plant in the front garden and just roll all around in it!